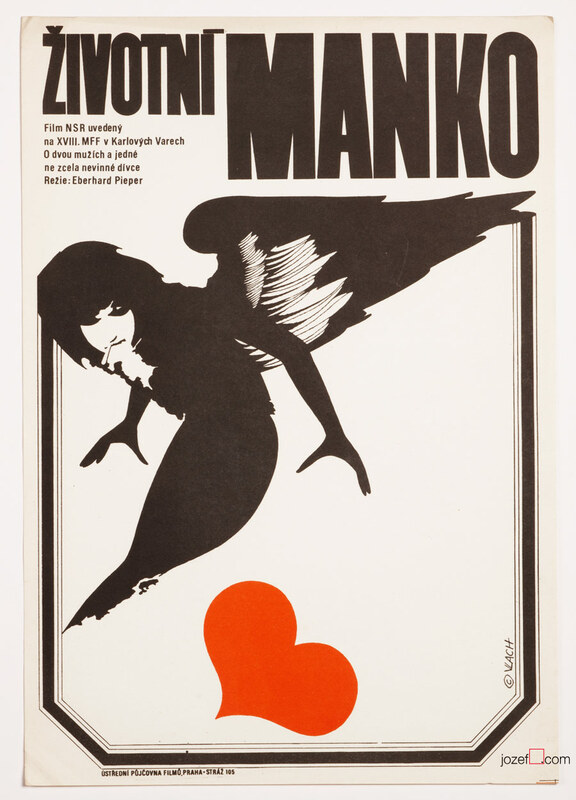 Romantic poster design for a German movie designed by Czech poster designer Zdeněk Vlach. Wonderful movie poster by Zdeněk Vlach. Beautiful poster designed for German romantic film The Hitch of It. 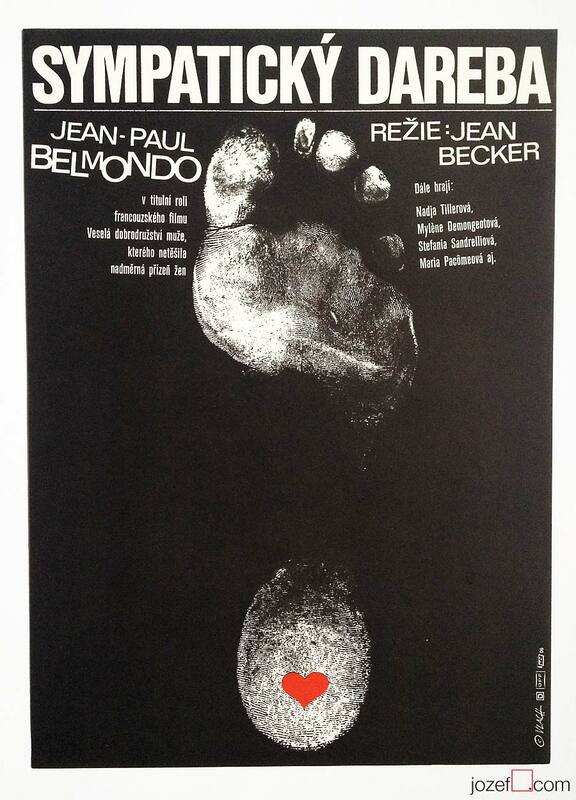 Quite a dramatic poster design was done in Vlach’s favourite black and white which was highlighted by the addition of a little red heart. By positioning the central image of a woman to the left side Vlach succeeded in creating dynamic and slightly haunting poster. Poster has never been folded. Slight crease and several tiny cracks on edges. Few soft scratch marks on the surface. Excellent condition. Poster is in A3 format. typography posters available in our movie poster shop. 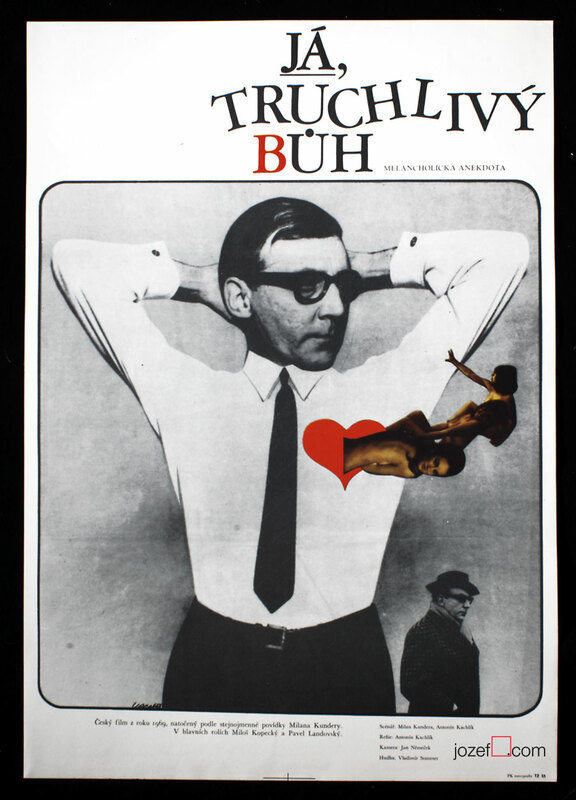 Be the first to review “Movie Poster – The Hitch of It, Zdeněk Vlach, 1972” Click here to cancel reply.